Hot August Nights are back. Are you ready?...... This is the largest classic car and nostalgia event in the United States with venues spread across the Lake Tahoe/Reno Sparks area. Cars are the stars and rock ‘n’ roll rules through the dozens of concerts, controlled cruises, show ‘n’ shines, a sock hop, and much more! Plenty of shopping can be found at the B&T Specialty Classic Car Auctions, Big Boy Toy Store, and Hot Augusts Nights Swap Meet. This wonderful event will begin with...Continue Reading! 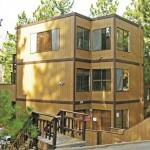 3610 Spruce Ave #6 South Lake Tahoe CA offered at $149,900This fully remodeled 2 bedroom, 1 bath condo is one that you must see! It is an end unit on the first floor with nobody behind. The kitchen has brand new cabinets and counter tops. The bath has been remodeled and has a tile shower with a beautiful raised vanity with matching mirror and lighting. The floors are all new with the kitchen and bath tile...Continue Reading! Choosing the right Title and Escrow Company can be a challenge. There are so many choices! My recommendation for your Lake Tahoe Real Estate purchases is Old Republic Title and my reasons are listed below: Success on Your Terms Old Republic Title Company and its underwriter Old Republic National Title Insurance Company, herein "Old Republic" provides real estate transfer products and services for individuals, businesses and governments. Our services are highly comprehensive and flexible to respond to changing market environments and to...Continue Reading! Jazzercise while in Lake Tahoe! What is Jazzercise? Do you want to burn up to 600 calories in one fun and powerfully effective 60-minute total body workout? Every Jazzercise group fitness class combines dance-based cardio with strength training and stretching to sculpt, tone and lengthen muscles for maximum fat burn. Choreographed to today's hottest music, Jazzercise is a fusion of jazz dance, resistance training, Pilates, yoga, and kickboxing. Start dancing yourself fit and change the shape of your body today. It works...............Really works! And it is...Continue Reading! 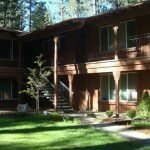 229 Clubhouse Cir Stateline NV offered at $249,900Another HUGE price REDUCTION! Clean bank-owned Tri-level condo featuring 3 bedrooms, 3 1/2 baths, 3 suites including private top floor master suite, steps to the 2 tennis courts, swimming pool and clubhouse. For primary and vacation home buyers seller will provide 2-year home warranty with CCHS. AS IS sale.Log onto Lakevillage.com for more info on this popular development close to the Stateline casinos, skiing and the lake. Continue Reading!